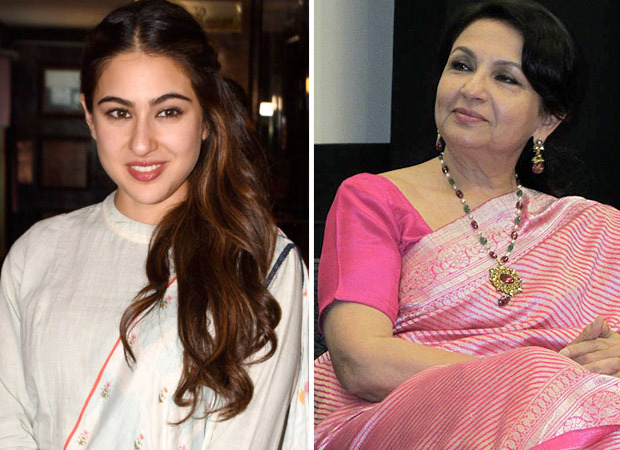 Sara Ali Khan is making the right noise by signing the right kind of films and making the most of the media attention on her. She is easy, breezy and super confident with her interviews and has an instant connect with the masses on every level. She has been reportedly signed by Imtiaz Ali for Love Aaj Kal 2 with Kartik Aaryan and we just can’t keep calm. Her latest television interview was with the Filmfare editor Jitesh Pillai, Famously Filmfare, where she spilled beans on everything from her dating life to her family. She said that Taimur Ali Khan is the biggest star in the family and Sharmila Tagore is her best friend and a confidante too. She said that she can talk anything and everything with her. “I strike a balance between respect and closeness. I can talk to her about almost anything. But then again, our conversations are little more skewed towards world affairs and political science than towards hair and make-up.” Now we know that Sara has been educated in an Ivy League college and has expertise on world affairs and history. She has always been academically strong but was also very passionate about acting. It was only after she went to Columbia did she seriously think about becoming an actress. She lost oodles of weight and got very serious with her craft. Sara has a very bright future. We can’t wait to see her on the big screen soon.